A random post of thoughtful rock n roll – not deep, but insightful. And the woman can rock. It’s hard to believe that it wasn’t that long ago that comedy and rock n roll were not thought to be appropriate for women, or that they could do it as well as men. Ha. Evolution mocks such nonsensical conclusions. Evolution will never be denied. Reality can only be understood by metaphor – explaining one thing by a relationship to another. But before metaphor, there is an axiom of existence – a starting point. Metaphors are always limited and misleading if they are taken too far or if they are allowed to inflate beyond their explanatory power. They are operational, contingent and provisional. Eros is the source of deeper and more profound truths. Eros rises. I posted this elsewhere, but I think it bears repeating. Which is why the best discussions involve wine, beer or other intoxicants, no fighting, and leaving as friends, regardless of any other outcome. This is one of the more subtle and human music video from the 80’s. 10 CC were a great, intelligent pop band, with art school sensibilities, from the 70’s. Godley and Creme were two members who went on to have a successful career after the band split. This video is remarkable for its technicality – long before simple laptops were capable of digital magic. It’s impact is greater for the lack of those digital effects. Life is analog at the level we perceive it. I find this video and song compelling in it’s humanity. Pain is a universal human emotion. Watching this video I am reminded of just how we are all the same behind the mask of persona. We are all uniquely here in our “beingness”. We are all essentially the same beneath the skin of gender, age, race, culture, and experience. Our human nature transcends our differences. Each one of us is an individuated piece of something much greater than we can comprehend. 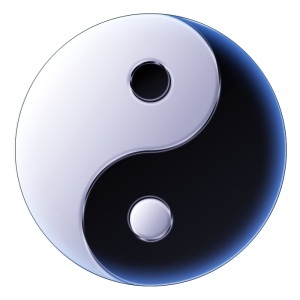 That duality is baked in at the most fundamental metaphysical level and is part of the joy and pain of this life. The irony is that in crying, in pain, we often feel the most alone, but in this video we are reminded of our being part of that much greater whole. Right after posting my longer piece on Jordan Peterson, I ran across this video with Edward Edinger being interviewed by Lawrence Jaffe, a Jungian analyst himself, having written two books on Jung. Edinger, however, was a prolific writer who in this video, tells us that he wanted to mediate the complex depths of Jung for those of us who want to know Jung better. Edinger was successful in this, with many books worthy of reading and rereading. His books are available at InnerCity Books – Edinger’s page there. InnerCity Books is a publisher devoted to producing the books of Jungian analysts only. It is an excellent resource. The contrast and comparison with Jordan Peterson is stark. Edinger “gets” it and he communicates it without pretense, drama, or polemics, but with deep passion. Jordan Peterson may or may not get Jung, But he certainly does not communicate Jung in any deep way. In this video, Edinger is deeply moved by his relationship to Jung and to what Jung has brought to humanity. The emotional reverence that Edinger shows for Jung is something that I can completely relate to, particularly as I am reading The Red Book and discovering it in a way that was not open to me just a few months ago. Exploring Jung is the most humbling, yet uplifting experience for me. I would recommend this video for any student of Jung, and certainly for anyone embarking upon diving into The Red Book. That book is a deep dark ocean and any knowledgeable and enlightened insight or guidance you can find, as you make your personal exploration of it, is worthy of your time. The journey is personal, but use every resource at hand that makes sense to you, and then leave them at the shore. You may have trouble deciphering one of the words Edinger uses a number of times – Weltanschaung – German for “world view”. Here you can find a transcript of this wonderful talk. “I consider Jung’s work primarily, and I think he did too, primarily to be a scientific accomplishment. What he did was to discover through his own personal experience both individually and with patients, he discovered the objective Psyche. The Psyche as an objective entity as contrasted with a subjective entity. That led him into a region of such immense dimensions that he then spent the rest of his life trying to describe and present some of the major aspects of the nature of the objective Psyche as he had discovered it. So he is primarily, fundamentally, a scientific genius, who has made a totally new discovery; a totally new dimension of being has been laid bare. And following that discovery he was obliged to create a whole new methodology of approaching it, because since it’s a new object, it cannot be approached by the old methodology that physical science used. Physical science requires a methodology different from the science of depth psychology, because the nature of the subject matter is different. The Psyche requires a methodology that engages the whole person. Physical science, by its nature, excludes a significant portion of the whole person as irrelevant. But, dealing with the Psyche requires an engagement of the whole person. That’s a totally new approach, and people have yet to learn it. Jung teaches us how to do it, but we still have to learn it. He was obliged to create that whole new methodology in order to deal with the new subject that he’d discovered, the subject of the objective Psyche, and this is what he’s done in all of his mature work. That’s how I think of him fundamentally. 26:50 However, what he discovered when he discovered the objective Psyche and started to explore it, was that it is the Source of religion, of philosophy, of art, of mythology, of worldviews of all kinds. It’s the Source of those. Therefore, although we say quite accurately, “No, Jungian Psychology is not a religion, it’s not a philosophy, it’s not a worldview, but nonetheless, it deals with the Source of all of those, and it has also discovered in the course of realizing the practical aspect of encounter with the Psyche, which is psychotherapy, it’s discovered that psychotherapy, if it’s going to be complete in the individual case, involves the individual’s discovery of a religious standpoint and a worldview. So that Jungian Psychology, when it’s applied does lead to religious consciousness and to the emerging awareness of a new worldview, even though Jungian Psychology itself is not itself a religion or a worldview. It’s as though it is more fundamental than that. I consider the The Red Book to be the record of Jung’s inquiry into the nature of the psyche. I can see now the point that Edinger is making. Jung was working scientifically, in the only way possible, given that he was using the human psyche to explore itself. That scientific exploration led to mysticism and religion. Jung should not be criticized for what his explorations revealed. He was a unique explorer in science, since he was not afraid to go where the data and his experiences took him, even though many would dismiss his findings out of hand…for now. “You see I have a perception of Jung that I’m afraid practically nobody shares. I’m almost alone in that; speaking of being alone. I mentioned earlier, he’s a whole new species. We know from history that when an individual carrying new consciousness arrives on the scene that often inaugurates a new epoch. The two examples that I’m thinking of particularly are the examples of Christ and Buddha. I believe that Jung belongs to that order of individual. Now of course, you’re not going to get that in one reading. But what he’s referring to there is the Buddhist notion of the chain of suffering that involves desirousness leading to frustration and finally to death that repeats itself endlessly. The chain of life that goes round and round; it can never be broken. For me, Edinger has distilled down, here in this interview, Jung to his essence. There is an alchemical quality to this video somehow, as he gives form to the deepest truth of Jung. It is a process of purification and clarification that Edinger is engaged in here. Peterson is using Jung to understand the world better and to help preserve the things he feels are valuable and useful. Edinger is using Jung in the way I think Jung intended – to change each one of us and to change the world. Peterson is using Jung to maintain the status quo, albeit with improvements. Jung was a change agent – a profound one. Peterson is not. He sells Jung short. Edinger does not. The world cannot afford to sell Jung short, but I have no doubt that in the long run, that would be impossible. But the sooner Jung is more broadly appreciated, to facilitate this Deep Wake-Up in human consciousness, the better.